Jorge Valdivia - Colo-Colo - won a free kick in defence. Missed chance. Claudio Baeza - Colo-Colo - shot with right foot from outside the box is high and wide to the left from a free kick. Substitution - Corinthians. Carlos Augusto for Henrique. Jaime Valdés - Colo-Colo - won a free kick in attack. New attacking attempt. Damián Pérez - Colo-Colo - shot with left foot from the left side of the box is saved in the right corner. Delay in match Emerson Sheik - Corinthians - - injury. Corner - Colo-Colo. Conceded by Pedro Henrique. New attacking attempt. Lucas Barrios - Colo-Colo - shot with right foot from the centre of the box is saved in the left corner. Assist - Damián Pérez. Missed chance. Damián Pérez - Colo-Colo - shot with left foot from the left side of the box goes high. New attacking attempt. Jaime Valdés - Colo-Colo - shot with right foot from outside the box is saved in the left corner. Assist - Jorge Valdivia. Missed chance. Jaime Valdés - Colo-Colo - shot with right foot from outside the box is high and wide to the right. Assist - Damián Pérez . Pedrinho - Corinthians - receive yellow card for a foul. Damián Pérez - Colo-Colo - won a free kick on the left wing. Missed chance. Danilo Avelar - Corinthians - shot with left foot from the centre of the box missed. Assist - Pedrinho. Corner - Corinthians. Conceded by Claudio Baeza. Douglas - Corinthians - receive yellow card. Matías Zaldivia - Colo-Colo - receive yellow card. Emerson Sheik - Corinthians - won a free kick on the left wing. New attacking attempt. Danilo Avelar - Corinthians - shot with right foot from outside the box is saved in the left corner. Substitution - Corinthians. Emerson Sheik for Clayson. Substitution - Colo-Colo. Jaime Valdés for Carlos Carmona. Juan Insaurralde - Colo-Colo - receive yellow card for a foul. Ángel Romero - Corinthians - won a free kick in attack. Pedrinho - Corinthians - won a free kick in defence. 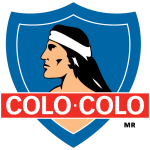 Claudio Baeza - Colo-Colo - receive yellow card for a foul. Pedro Henrique - Corinthians - won a free kick in defence. Corner - Colo-Colo. Conceded by Fagner. Clayson - Corinthians - won a free kick in defence. Substitution - Colo-Colo. Gonzalo Fierro for Óscar Opazo. Corner - Colo-Colo. Conceded by Léo Santos. Juan Insaurralde - Colo-Colo - won a free kick on the left wing. Missed chance. Ángel Romero - Corinthians - shot with the head from the left side of the box goes high. Assist - Clayson with a cross . Clayson - Corinthians - won a free kick on the left wing. Substitution - Corinthians. Léo Santos for Jadson. 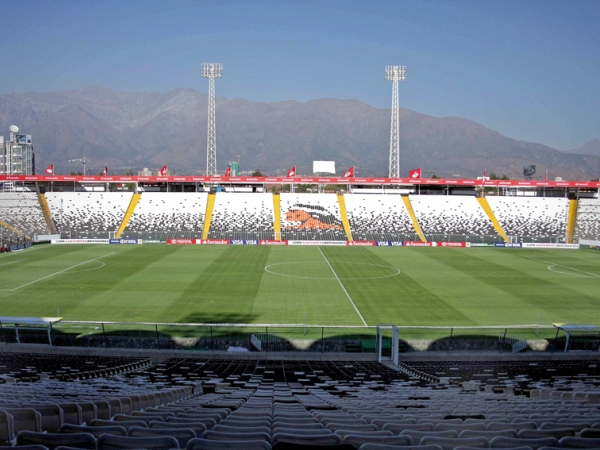 Delay in match Claudio Baeza - Colo-Colo - - injury. Second yellow card to Gabriel - Corinthians - for a foul. Carlos Carmona - Colo-Colo - won a free kick in defence. Offside - Colo-Colo. Lucas Barrios with a pass, however Esteban Paredes is in offside. Missed chance. Clayson - Corinthians - shot with right foot from outside the box is high and wide to the right. Assist - Gabriel. Second Half starts Colo-Colo 1, Corinthians 0. First Half ended - Colo-Colo 1, Corinthians 0. Corner - Corinthians. Conceded by Carlos Carmona. Óscar Opazo - Colo-Colo - won a free kick on the right wing. Óscar Opazo - Colo-Colo - receive yellow card for a foul. Gabriel - Corinthians - receive yellow card. Carlos Carmona - Colo-Colo - receive yellow card for a foul. Ángel Romero - Corinthians - won a free kick on the right wing. Goal! Colo-Colo 1, Corinthians 0. Carlos Carmona - Colo-Colo - shot with right foot from the centre of the box to the left corner. New attacking attempt. Lucas Barrios - Colo-Colo - shot with right foot from the centre of the box is saved by goalkeeper in the centre of the goal. Assist - Óscar Opazo with a cross. Offside - Colo-Colo. Damián Pérez with a pass, however Julio Barroso is in offside. Corner - Colo-Colo. Conceded by Cássio. New attacking attempt. Matías Zaldivia - Colo-Colo - shot with left foot from the centre of the box is saved by goalkeeper in the centre of the goal. Assist - Óscar Opazo with a head. New attacking attempt. Esteban Paredes - Colo-Colo - shot with left foot from outside the box is saved in the left corner. Assist - Lucas Barrios. Esteban Paredes - Colo-Colo - won a free kick in attack. Delay in match Cássio - Corinthians - - injury. Ángel Romero - Corinthians - won a free kick in defence. Shot blocked. Carlos Carmona - Colo-Colo - shot with right foot from the centre of the box is blocked. Assist - Jorge Valdivia. New attacking attempt. Douglas - Corinthians - shot with left foot from outside the box is saved in the right corner. Assist - Gabriel with a head. Corner - Corinthians. Conceded by Juan Insaurralde. Missed chance. 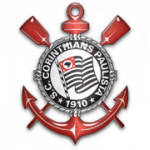 Fagner - Corinthians - shot with right foot from more than 35 yards missed to the left. Assist - Jadson. Jorge Valdivia - Colo-Colo - won a free kick on the left wing. Offside - Colo-Colo. Damián Pérez with a pass, however Lucas Barrios is in offside. Jadson - Corinthians - won a free kick in attack. Óscar Opazo - Colo-Colo - won a free kick in defence. Danilo Avelar - Corinthians - won a free kick in defence.